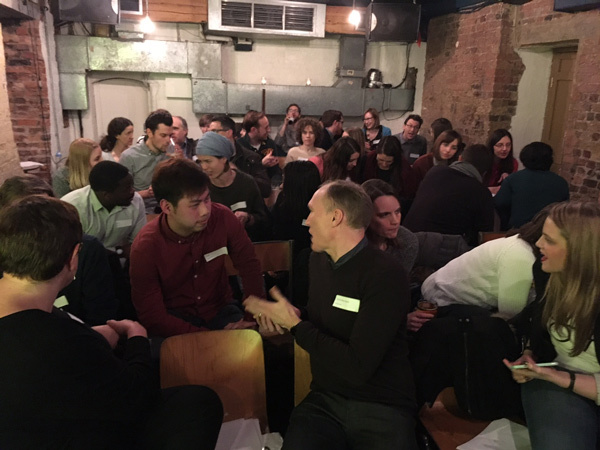 This week I was invited to talk at the London Agile Content Meetup group, as part of a team collaboration and stakeholder management session. As part of the deal, I had to attend several presentation workshops beforehand which were hosted by Jonathan Kahn (who I’d throughly recommend). The whole process took about 3 weeks and I wanted to share what I’d learnt along the way. I chose to participate in this programme because I felt I could make some improvements to my presentation skills. I’d recently presented at a whole series of events and wondered if I’d really landed my key points with the audience. How could I make what I wanted to say as enticing and as relevant as possible to a specific audience? Well, I was about to find out. I should note that during this period I was also reading the Ted Talks book which I also recommend. One thing I’ve realised is that, if given the option to ‘wing it’ or over-prepare for a presentation, I’m always going to do the latter. I’ll probably detail everything I want to say until I have several pages of text, even for a ten minute presentation. I’ll then try to edit this down but the whole process is a constant process of elimination, and it’s very text-orientated. At its worst, this can result in copying said notes onto presentation slides. Result: ONE EXTREMELY BORING PRESENTATION. It also means I’m trapping myself into a very regimented presentation style with the slides dictating the outcome. With very little room for adjustment, there’s often no interaction with the audience. Again, another opportunity to engage, missed. So it was a relief to try something complete different in our workshop group, which started by riffing loosely around your chosen topic with no slides at all. That forced you to really think about your core story and what you could actually fit in the allocated time (five minutes). It made me focus on making sure my meaning was landing with my audience and not using the slides as a ‘crutch’. If you’re planning a presentation, make sure you get to rehearse the format in front of colleagues/friends, ideally with people that don’t know your subject matter. Being part of a small group preparing presentations for the same event really helped because you were all trying to achieve the same goal. That meant trust was forged fast and suggested improvements offered without fear of offending anyone. We all need constructive feedback in everything we do and I felt this set-up worked brilliantly. Preparing for a short presentation (in this case ten minutes) can often take longer as you realise you can’t say it all, and need to make every word count. Even if you have a thirty minute presentation to plan, starting initially with ten minutes is a good place to start as it’ll give you a good sense of how to pace yourself and how ‘deep’ you want to go into your topic area. There’s many different ways of doing a presentation and lots of information out there about how you can combine all your points into one neat story arc or narrative flow. I’ll sign off with one final tip – think really hard about how you can make your presentation relevant to your audience. I don’t mean: ‘oh, my presentation will be relevant because everyone will want to know how this project was successfully delivered’. I mean providing real learns that the audience can take away and apply that day. If you can’t then don’t expect your audience to be engaged with what you have to say. In short, give ’em what they want. Thanks again to Jonathan Kahn for organising the session. Tonight I attended another great session hosted by Jonathan Kahn with two excellent speakers discussing how to deal with ‘blockers’ in your company and influence without authority. 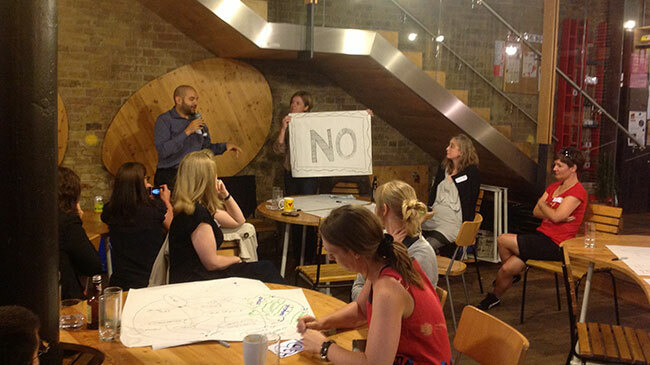 The event was held at The Hub in King’s Cross, a precursor to the forthcoming Dare conference in September. The night kicked off with two speakers, Sarah Richards Head of Content Design for GOV.UK and Ummul Choudhury, Co-Founder of Bidna Capoeira. Both addressed ‘blockers’ (people objecting to your ideas) when presenting and how to best influence your desired outcome.